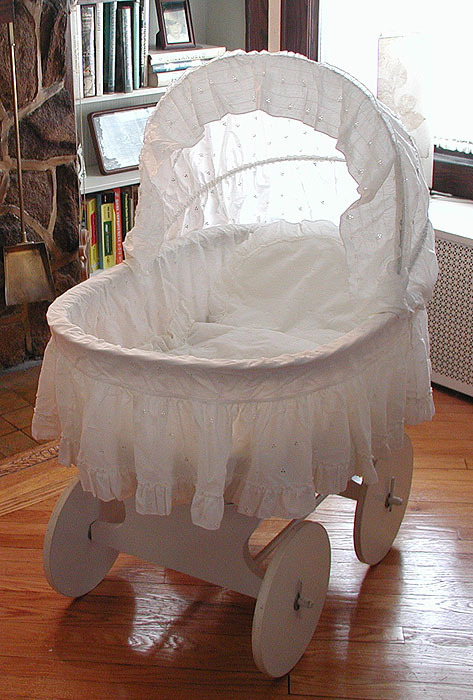 Here's a nice picture of the bassinet that Carol, my co-worker, sent us so we could decide whether we wanted it. We said yes. Shelby Foote the cat conquers her fear of the bassinet. Lying next to her is a little clam hand puppet which Carol gave us along with the bassinet.